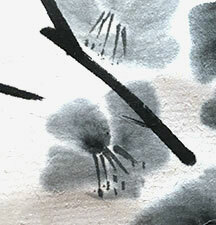 The Sakura blossom buds are getting fatter by the day as the weather warms up. Walking along Meguro River I notice only one flower making a brave appearance so it will not be long before the trees will burst into bloom. 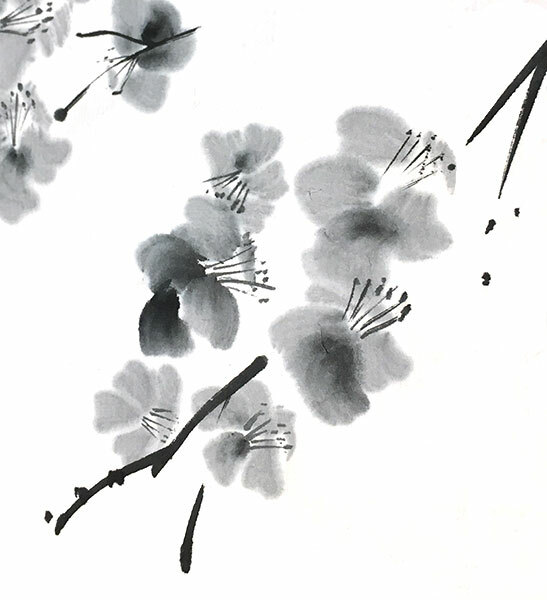 The process of Sumi-e painting is so relaxing from the moment you start making your sumi-e to when you load your brush then forming the flowing strokes to build your image.